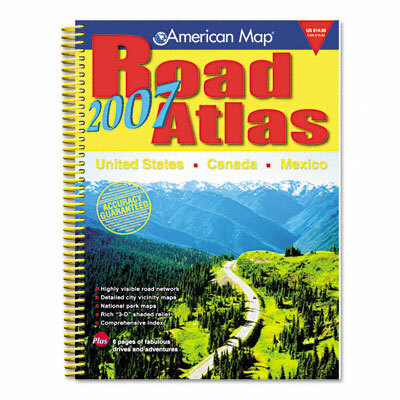 Colorful, easy-to-read road maps of the U.S., Canada, Mexico and Puerto Rico. Inset maps of major U.S. cities. Features national parks finder and on-page locator maps, plus mileage tables for major cities. Interstate maps, elevation shading and scenic routes. Comprehensive index with statistical data. Colorful, easy-to-read road maps of the U.S., Canada, Mexico and Puerto Rico. Inset maps of major U.S. cities. Features national parks finder and on-page locator maps, plus mileage tables for major cities. Interstate maps, elevation shading and scenic routes. Comprehensive index with statistical data.